Hidden behind the personal self is the real Self, that which Paul called "The Christ," or our spiritual identity. To awaken mystical consciousness is to come to that point where we can spiritually apprehend this truth about ourselves and about each other and live by it. A mainstay of this book is erasing the false concept that man is separated from God, and that there is a God "out there" that can take away our sins, diseases, lacks and limitations. "Through this work," says Goldsmith, "you are going to awaken out of the dream that there can be any separation. It wakes you up, and then you look around and realize you are in heaven. You have been there all the time, dreaming you were in hell." 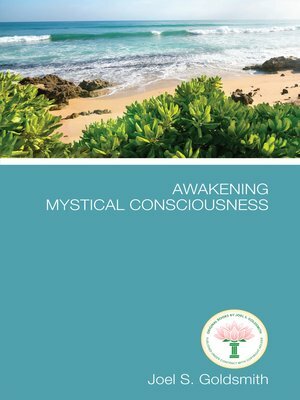 Goldsmith explains that awakening to mystical consciousness bears great fruitage. Through our realization of oneness, we regain our original dominion over our bodies and our lives. We can also demonstrate the healing consciousness, that consciousness that knows there is nothing to be healed, but only Truth to be revealed. "The goal," he says, "is the attainment of this Spirit of God" – mystical consciousness. "That is the entire goal of the spiritual life."